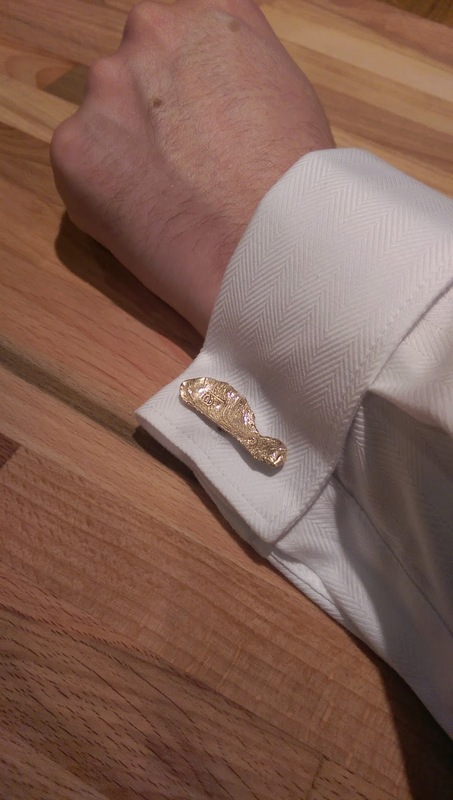 I don't often have a need to wear a double cuff shirt, but when I do, I don't want to let down a sharp look with a poor choice of cuff-links. 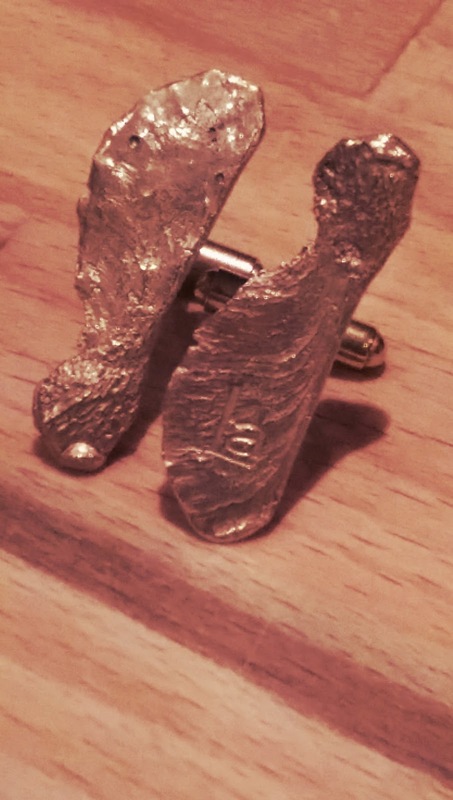 Cuff-links could be considered the equivalent to earrings for women; something we want noticed but do not want to worry too much about. 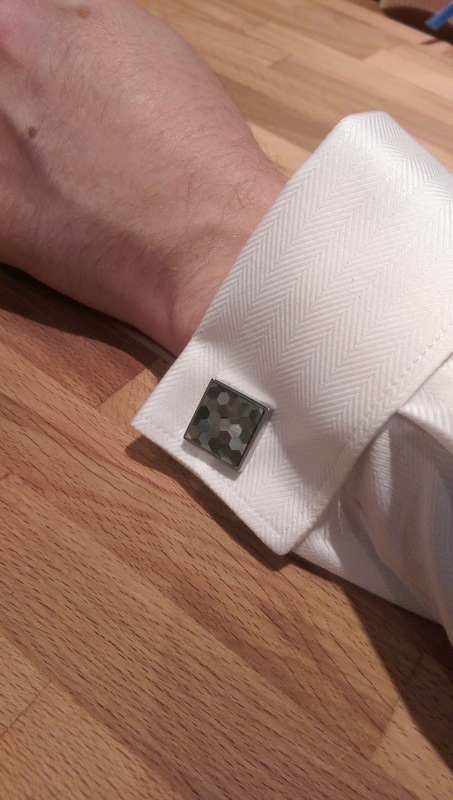 They should make a subtle statement, but this is not an excuse to don novelty or gimmicky cuff-links. Leave them in the pack with the tie they came free with. I have somehow managed to lose my favourite pair; a simple sterling silver barrel that went with every damn thing. So I treated myself to this pair (a little snazzier than I usually go for) from the Argento clearance store for only £5.00! 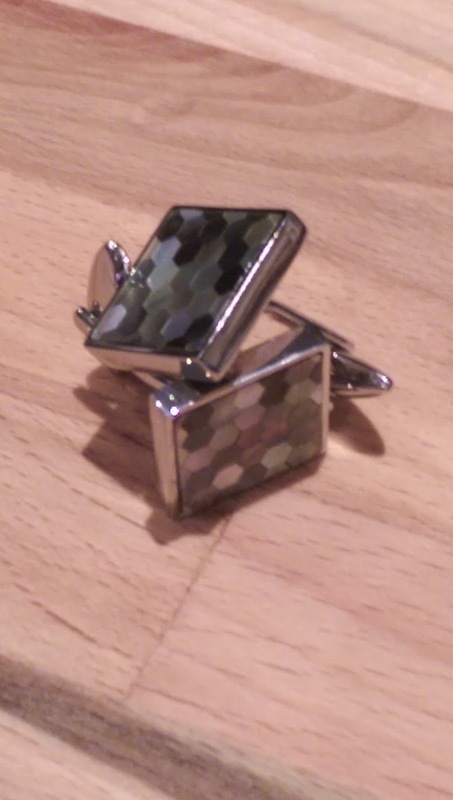 Stainless steel with a mosaic inlay of abalone shell (sometimes referred to as father of pearl which I think is a great term) they have a subtle shimmer without being gaudy. 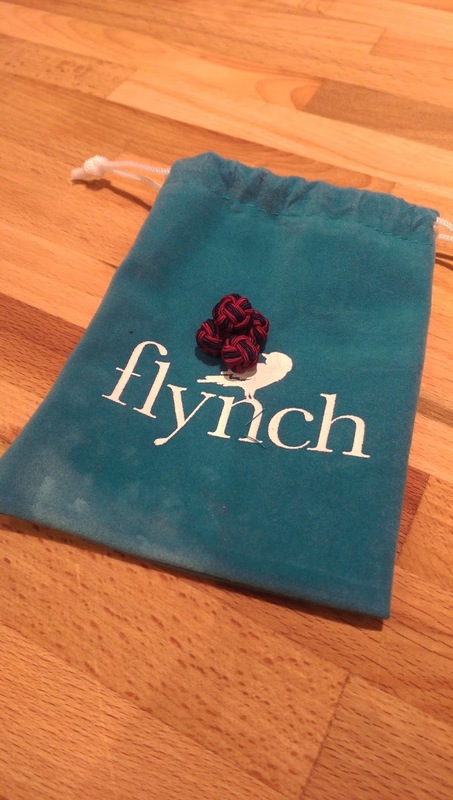 The team over at Flynch kindly sent me this pair of silk knots recently. 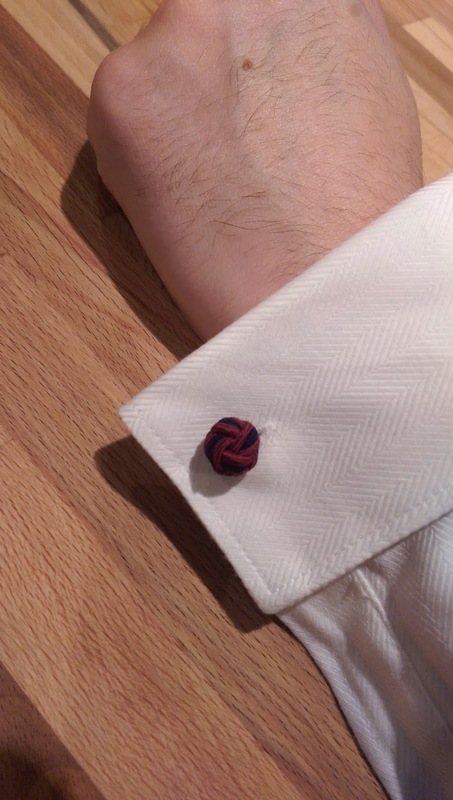 The classic combination of claret and navy means they are suitable for work without being boring. 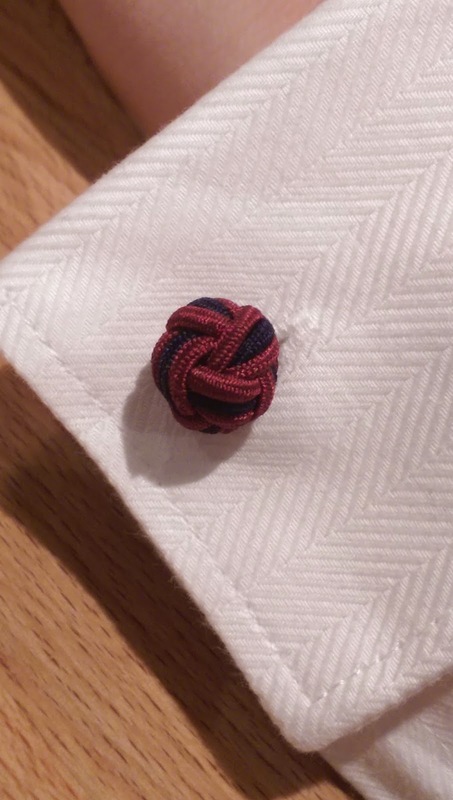 The double monkey-fist knot is a nice change to the usual lever back and as they are fabric, you won't get that irritating clink while you type. Very reasonably priced at £16.50 for 4 pairs, keep a pair in your desk drawer for a quick change. A double or French-cuff shirt is really only suitable for a formal or professional occasion. Resist the temptation to wear it with jeans. You owe it to yourself to get it right. I don't shave. I trim, I tidy but I have not been clean shaven in over 2 years. I look like a boiled monkey afterwards. I also suffer greatly with razor burn along my neckline so I avoid the steel as much as I can. Bluebeard's Revenge. The company prides themselves on offering the ultimate shaving experience for real men. I have seen glowing reviews of Bluebeard's Revenge in both print (they won the FHM Grooming Awards 2013) and blogs but truthfully, I was a little indifferent as I deem myself a non-shaver. However, when the team offered a trial I thought I would put them through a real test and see how their products fare against my gingery chin. left: Before - I haven't trimmed since early february. I kept eating my moustache so it was time to tidy up. right: My trouble area. It's not like I cut myself, I simply bleed from my pores from the irritation. left: All trimmed. 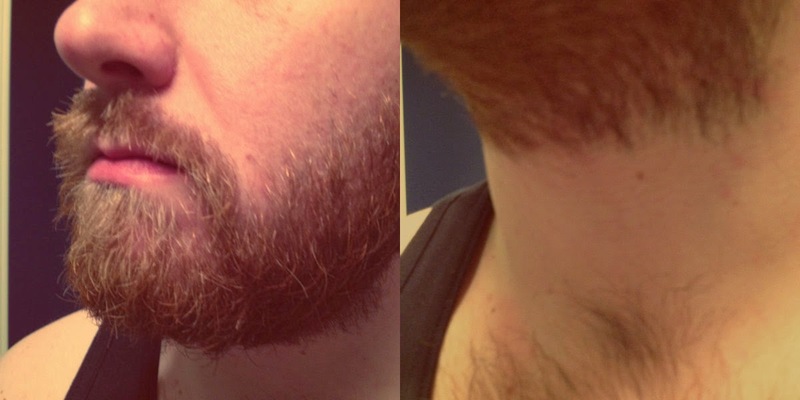 As I have been growing my beard, my normal trimmer struggles so I actually used barbers clippers. middle: The remnants. Maybe I could clone myself..? After trimming down, I took a hot shower. 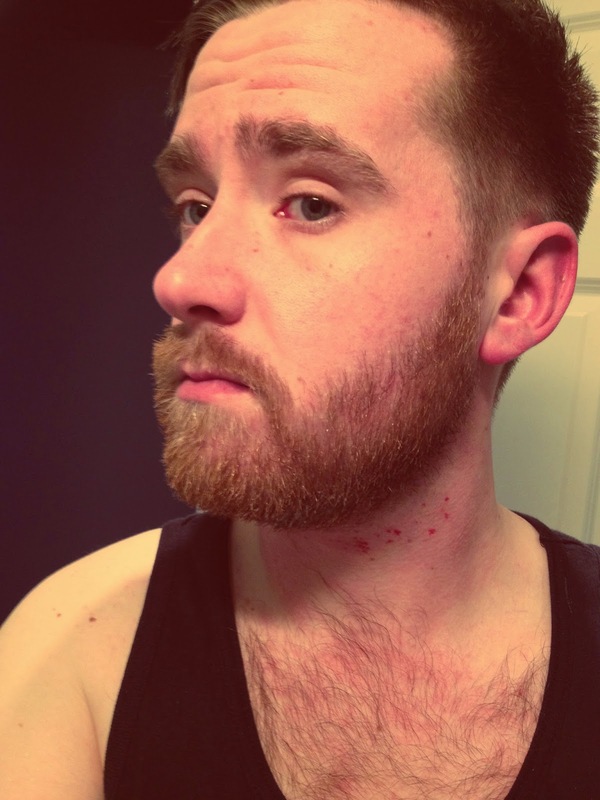 All beard hair is coarse and needs handled differently to normal hair. It doesn't condition in the same way so softening it is key to prevent itching, pulling and rashes. 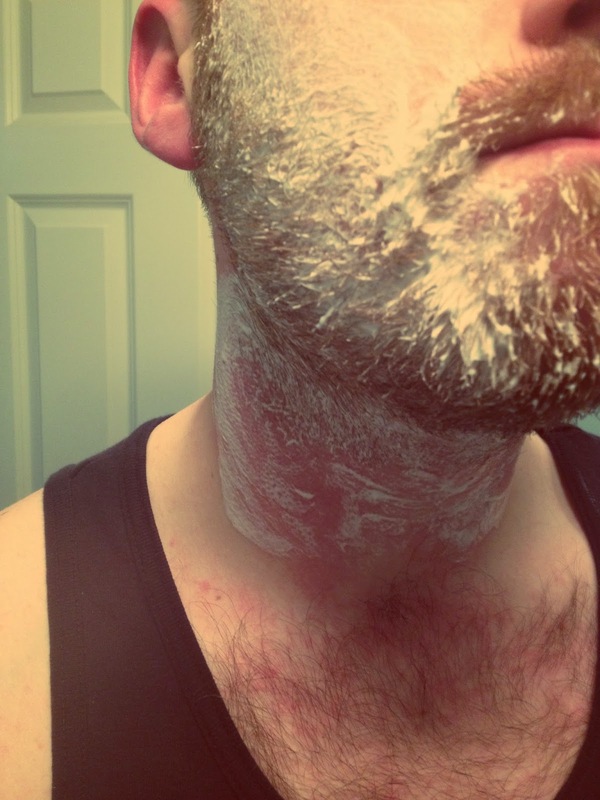 I used a scrub on my face to strip away grease and helps exfoliate away all the dead skin trapped under my beard hair. I then applied conditioner while I showered, rinsing off the conditioner when I was finished. 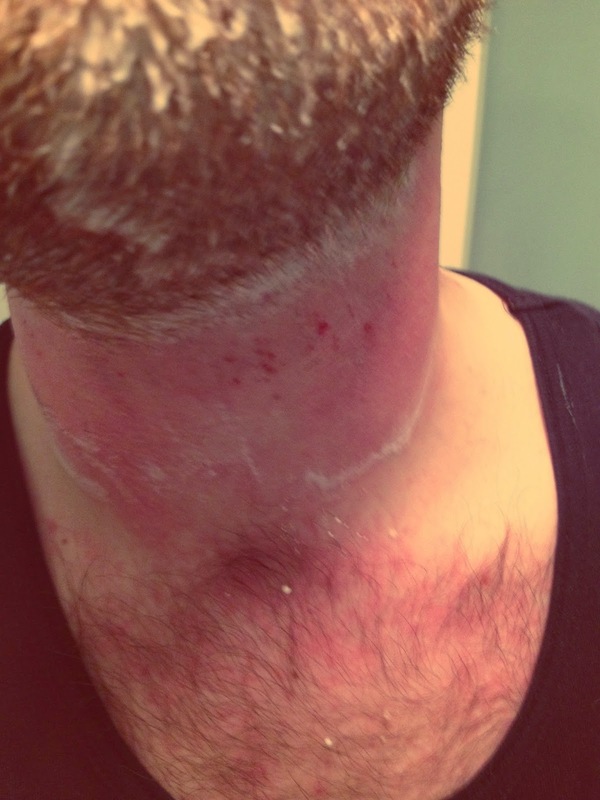 I have learned from painful experience the cost of not prepping before shaving. Bluebeard's Revenge Shaving Solution. 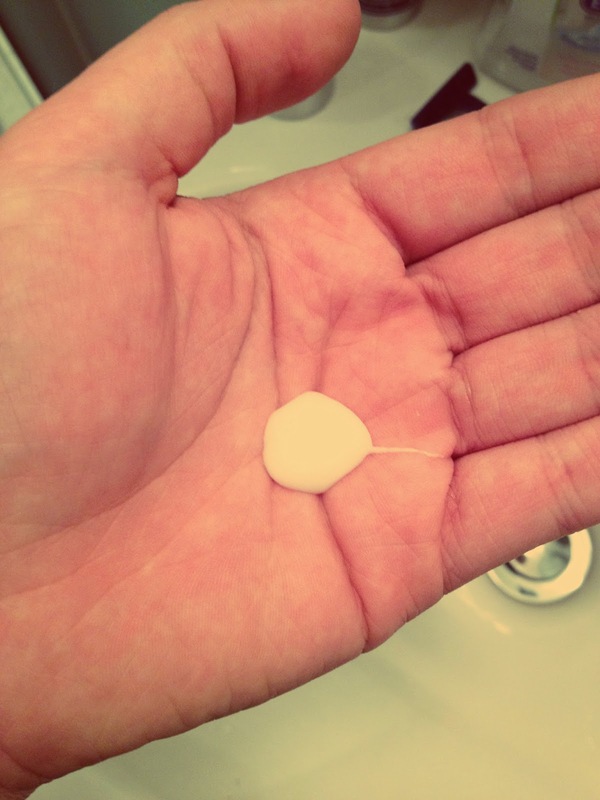 The product is thick, creamy and glossy and feels more like conditioner than any shaving cream I've ever used. It also smells great. As I only shave along the neckline, I don't need a lot of product but the directions said apply liberally and I am a stickler for rules. Now comes the scary part; actually shaving. My beard grows in random directions; from left to right under my chin, upwards towards my Adam's apple and towards my ears on my face so the usual directions of shave in the direction of hair growth is moot. I shaved along my cheek bones to define the shape of my beard. Don't go too low; we're looking for a beard, not a George Michael pencil line. On to the neckline; my Waterloo - I will never win. I shave to the bottom of my Adam's apple - any higher and it becomes less of a beard and more of a decoration. A high neckline can also draw attention to a double chin. Ensure your water is really hot and rinse your razor regularly. Resist the temptation to tap your razor to loosen trapped hair; you'll blunt the blade and just make your shaving more uncomfortable. A little bleeding but nothing in comparison to usual. Bluebeards Revenge has given me the best shave in a LONG time. After finishing, I rinsed all the solution off with cold water. This will close up pores and help sooth any irritation and bleeding. Finishing off with Bluebeard's Revenge Cooling Moisturiser. While a post-shave balm would probably calm down your skin better, the moisturiser left my skin feeling nourished without being greasy and coated. All in all I would recommend Bluebeard's Revenge to those of you who shave. I do not possess the patience (or apparently the skin resilience) for regular shaving but when my beard needs a good tidy up, I know what I will be reaching for in my bathroom cabinet. On a small separate note; I have read on some blogs a rather pious opinion on the perceived sexism Bluebeard's Revenge promote with their products being for real men and that it's not suitable for women. For god's sake get over it; it's a smart, tongue-in-cheek marketing campaign. How else does a product differentiate itself in the male grooming market as it approaches saturation? Say what you will about this apparent sexism; I've not seen many brands supporting male cancer awareness as cleverly or passionately; urging their customers, their mates, to look after themselves. Grooming is maintenance and should be a whole body package; it's not just hair care and smelling nice. It's about looking after your body inside & out and they should be commended for their responsible attitude. 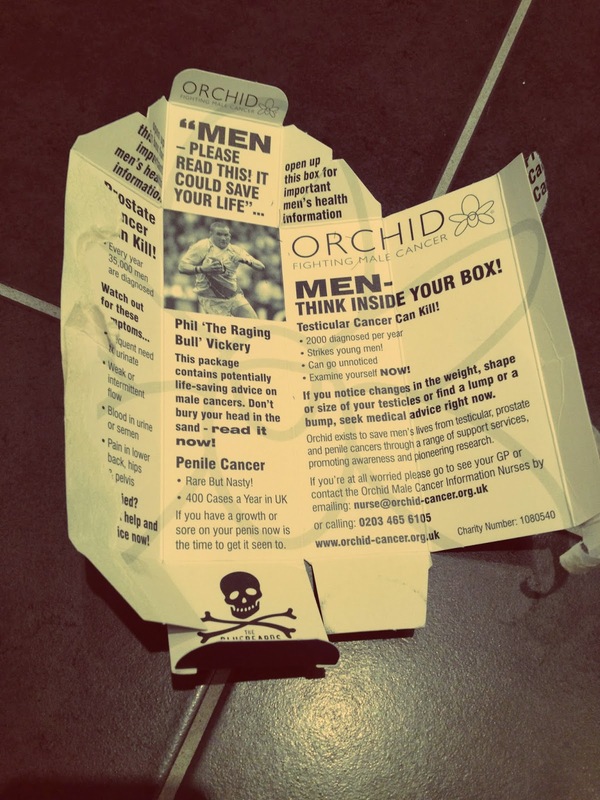 Bluebeard's Revenge use the inside of their packaging (a redundant space) as an information pack on their work with Orchid - the UK's only male specific cancer charity. Belfast doesn't often come up in conversation when people talk fashion. While my adopted home city has its fair share of tracksuit and fleece wearing individuals; try not to tar everyone with the same brush. West Coast Cooler FASHIONWEEK is brainchild of PR empress Cathy Martin. 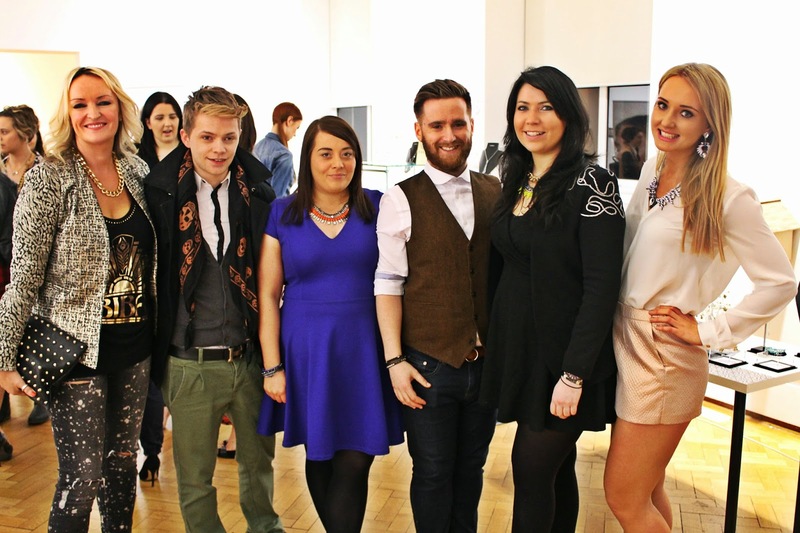 Twice a year Belfast's best dressed gather to see the consumer highlights of the season. In addition to the high end and high street favourites, the programme embraces local talent with the likes of Nor Lisa, Ruedi Maguire and Una Rodden featuring. 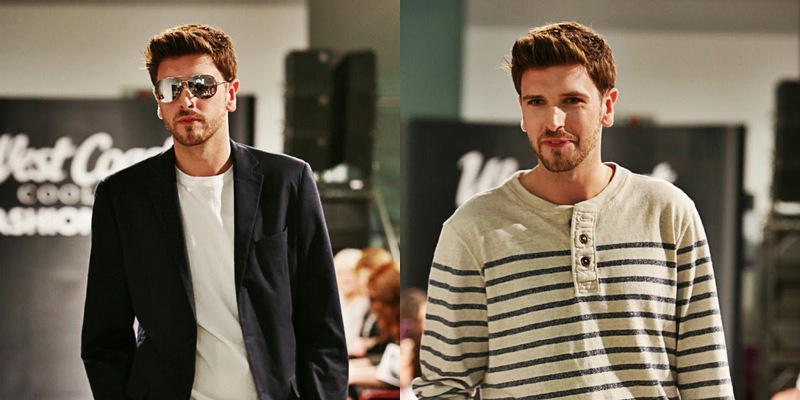 I attended Belfast FASHIONWEEK last Thursday for the high street event (I've said many times how much of a high street fan I am). 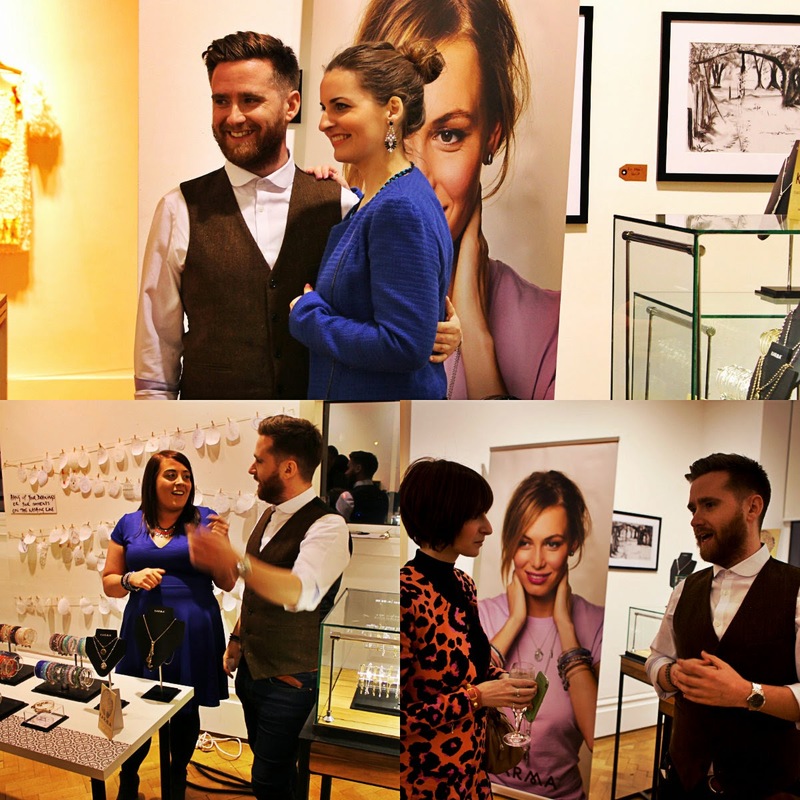 I was acting both as blogger and in my new role as wholesale manager for Argento. We held an exclusive pop-up installation to show local stylists, bloggers, boutiques and influencers the upcoming spring summer collections. A casual catwalk and an open display allowed attendees to inspect and admire the collections up close and personal. clockwise from the top: posing with Ruth from Willow Lane, chatting with Louise of The Real Elle Woods, apparently gesturing with Argento VM Sinead. As I'm saving for my holidays, my ensemble was made from existing wardrobe favourites. Thanks to everyone who attended and for making a fledgling blogger such as myself so welcome.